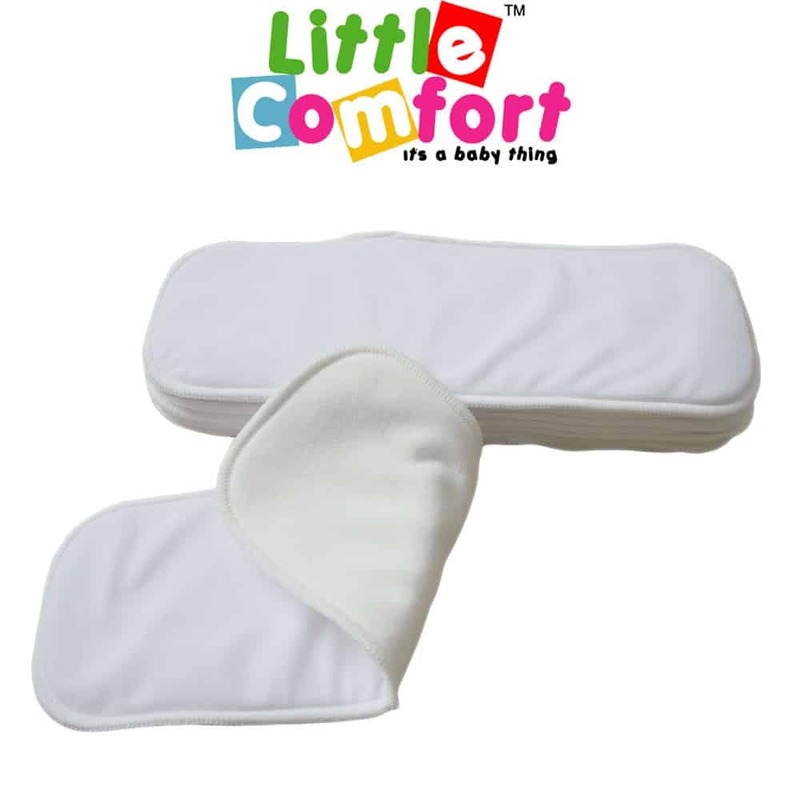 Bamboo high absorbency nappy inserts with cotton layer for additional comfort and softness. High absorbency super soft 3 layer inserts with stay dry top layer. 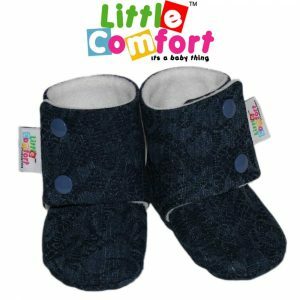 Suitable for Little Comfort™ One Size Nappy Covers (or similar) or as boosters for Pocket Nappies. 70% bamboo charcoal for supreme absorbency and 30% cotton for extra softness. 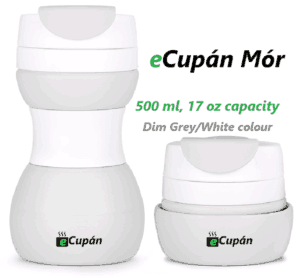 Care instructions: wash together with cloth nappy load using laundry detergent only. No softeners, no bleach or whiteners. Line dry or tumble dry on low. 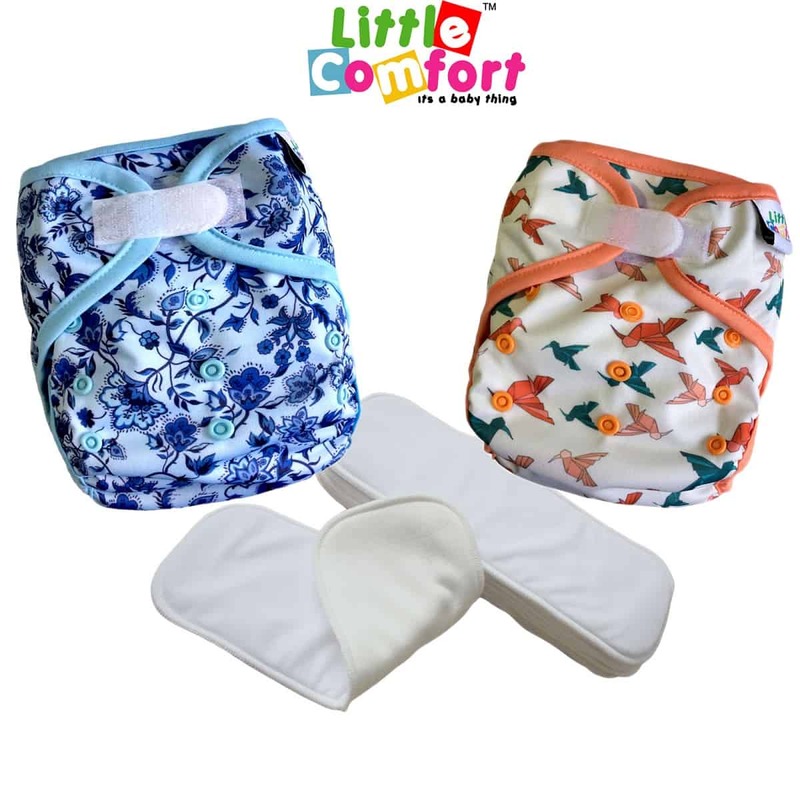 Nappy Covers are not included but are available to purchase separately from https://littlecomfort.ie/product-category/nappies-and-covers/nappy-covers/.